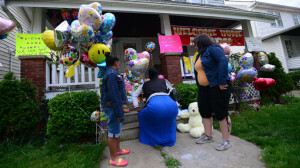 Yesterday, an off-duty Baltimore City police officer allegedly murdered his girlfriend and then barricaded himself inside a house with a toddler believed to be his son. In Ohio this week, three women who had been kidnapped over a decade ago, along with a six year old girl believed to be one of their daughters, escaped from the home they had been held in against their will by three brothers. In the context of these stories, we discuss violence and misogyny with Andrea Plaid, Associate Editor at Racialicious;and Keith Snipes, actor, narrator, writer, and social commentator.